La Siesta, San Luis, El Chaparral and El Limonar are all similar residential areas very closeby Torrevieja offering the same kind of facilities and amenities. There are plenty of bars and restaurants all on flat level walking roads and avenues where you can gaze at the numerous typical luxury villas with their private pools, or wander along the pretty little calles where the imaginative owners of the amigo and pepita bungalows compete to have the prettiest terraces and solariums, the largest conservatory or the highest extension added. However, this all adds to the diversity of La Siesta and its real sense of community. In La Siesta, fiestas and special occasions are celebrated on balmy poolside terraces in the Bellavista, Helena and Olga villas, while friends gather on the balconies and solariums of the La Siesta apartments and bungalows or even take over the streets to BBQ and share a glass of wine and watch the beautiful sunset over the natural salt lakes. Neighbours sit in glazed porches or on their terraces chatting about their bargain buys at Torrevieja market as the aroma of the wood burning stove or barbecue wafts tantalisingly along the calles. 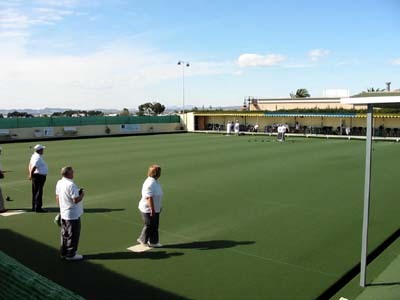 La Siesta has a very successful Bowls club and members are very proud of their achievements to date. 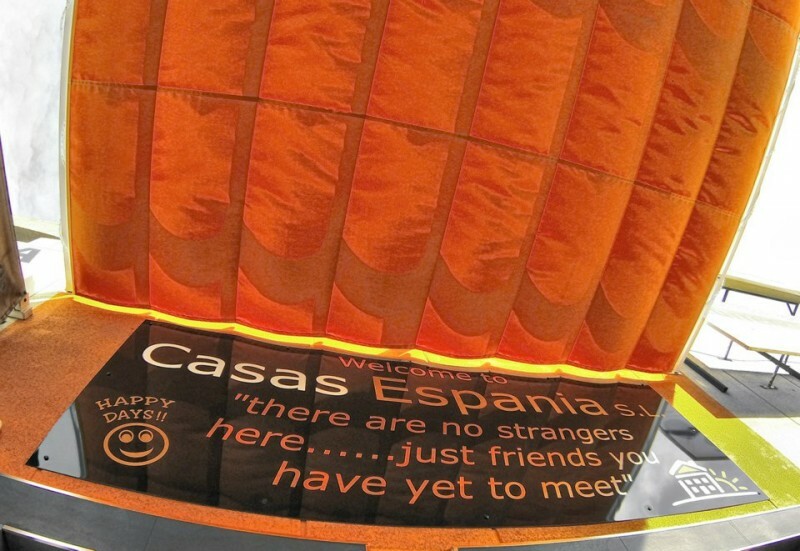 A friendly place to meet like minded people. The central park has a very active Pentanca club, open air Tai Chi and mature gardens where you can enjoy the shade beneath the palm trees. The Princess Martha Luoise of Norway church is a busy social centre and attracts Norwegians from far and wide. 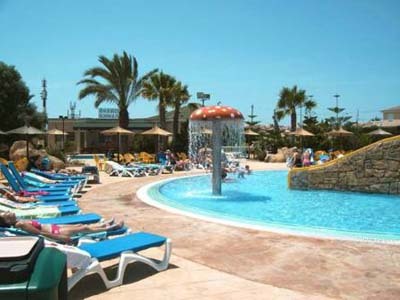 For the youngsters the Flamingo Aqua Park is nearby and is good fun, as is Aquapolis in Torrevieja. La Siesta snuggles between the two famous salt lakes, the pinkish coloured Torrevieja lake and the other in La Mata. Both of the salt lakes are protected nature reserves and are a great area for cycling, horse riding and walking. La Siesta has 5 excellent golf courses within easy reach and another three bowls clubs. 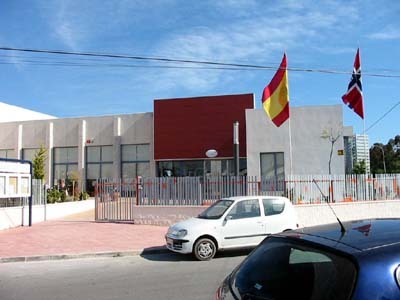 La Siesta is a super place if you are looking for a retirement location, want an easy to manage compact bungalow or fabulous detached villa with minimum maintenance, there’s lots of properties in La Siesta to choose from and at very reasonable often bargain prices. In La Siesta, all the amenities are easy to walk to and it’s a great community. La Siesta is situated close to the golden sandy beaches of the Costa Blanca, Orihuela Costa, Playa Flamenca, Costa Calida and the Mar Menor, the town of Torrevieja and the AP7 Motorway are 10 minutes away, La Siesta is only 35 minutes away from the airports of Alicante and Murcia. La Siesta is close to several world famous golf courses, La Marquesa, La Finca, Villamartin, Las Ramblas and Campoamor are all just minutes away, the fabulous new Paramount Theme Park at Murcia is only a 45 minute drive away, proving to make investment in the La Siesta area a very wise choice. So, due to its proximity to the beaches of the Costa Blanca, Orihuela Costa, Playa Flamenca, Costa Calida and the Mar Menor, all of the world famous golf courses and some of the finest golfing in Europe not forgetting the Paramount theme Park Murcia with the predicted 3 million extra visitors it will attract to the area each year means that should you own a property in La Siesta not only it will experience phenominal growth in value over the next few years but it will also give you everything you might ever need to enjoy your life in the Spanish sunshine. See below to view a selection of our bargain properties in La Siesta.